The head of the UN's AIDS agency, Michel Sidibe, on Wednesday rejected calls for his resignation over complaints that he shielded a deputy from sexual harassment claims and attacked whistleblowers. "I don't anticipate leaving my post," the UNAIDS executive director told journalists at a meeting in Paris where he released a status report ahead of next week's International AIDS conference in Amsterdam. "Why? Because, like I said, I don't back away from difficult issues. I need to deliver on my job." Multiple HIV/AIDS organisations have demanded Sidibe's resignation over claims that he protected his deputy Luiz Loures against sexual harassment and assault accusations by a UNAIDS staffer, Martina Brostrom. Sidibe was reprimanded after an internal UN probe for mishandling Brostrom's complaint by trying to settle it quietly even as an official investigation was under way. The Malian was also heard fiercely criticising whistleblowers in a leaked recording of a staff meeting. Calls for action against Sidibe came at the height of the #MeToo anti-harassment movement sparked by allegations against film producer Harvey Weinstein. On Wednesday, Sidibe said he had done all he can to have the claims against Loures, who has left the UN, properly investigated. Initially, a UN internal investigation rejected Brostrom's complaint, he added, because she had not submitted it within six months of the alleged assault in 2015. When this happened, he said: "I asked, the same day, that it be investigated. And the investigation took 14 months." Reacting to claims that he did nothing, the UNAIDS head said he had no choice but to keep quiet. "I kept quiet to protect, number one, the victim, and number two, to make sure the investigation runs normally... so that it could not be said that I did not respect confidentiality." 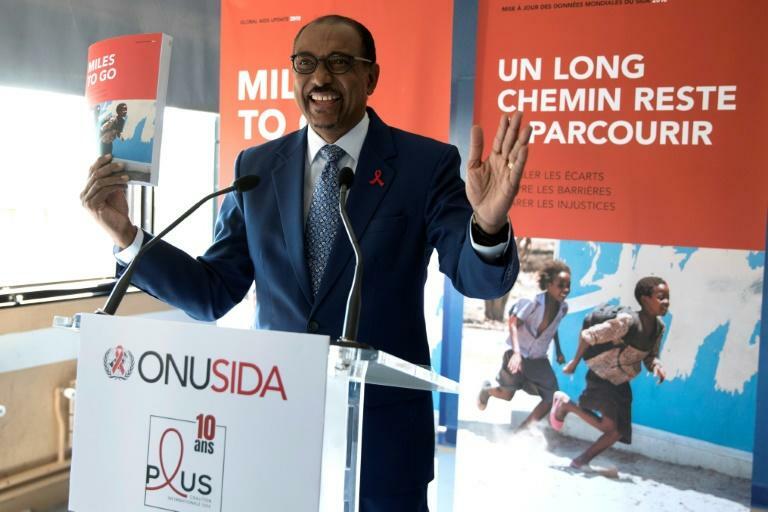 Sidibe said he would "do all I can" to ensure that UNAIDS is an accountable and transparent organisation that is "protective of women and victims".